So I will update next week for the month, because this month there was only one thing that mattered ... well two really. 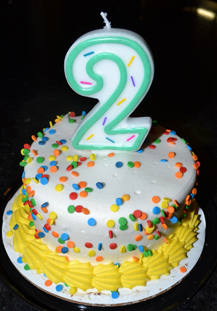 NickyBears 2nd Birthday and raising awarness for Pediatric Cancer Month, September. So we celebrated his real birthday September 22nd with just the 4 of us, hording our special day away with just ourselves - we wanted it this way because we wanted everyone to focus on the WALK on Saturday. 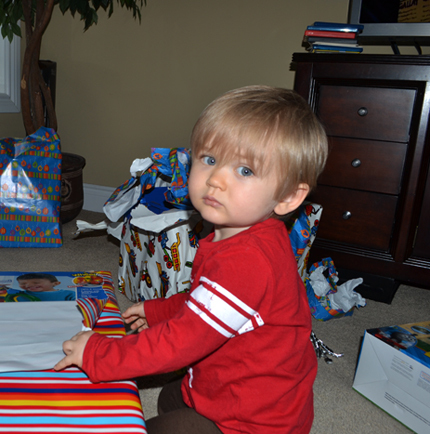 We got him a few things he loved to rip apart the packages with his big brother showing him how. We bought the new guitar Mickey Mouse - not such a fan of that one shockingly. While a race track kept his attention and a Thomas the Train set because he LOVED the one at E-clinic so much last trip to St. Jude. Oddly the train set when you walk into St. Jude is bitter sweet - Nicky was a baby in a stroller, a very sick baby that could never play at 8 months old. Lines and tubes running from his little body kept him in a strapped in seat our entire 4 1/2 months at St Jude. 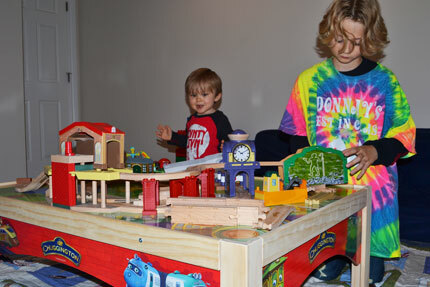 So last visit when he couldn't wait to rip toys out of the other kids hands ( no sharing manners lol ) we were in shock ... we watched numerous children play with that train set but never imagined that he would one day .... and yes that day came and was a blessing and a stressful sigh while awaiting his clear results. THANK YOU GOD! So the following day Daddy, like always trumped Mommies efforts of gifts and ran out to get him the REAL DEAL table set .... so spoiled but boy he deserves it! 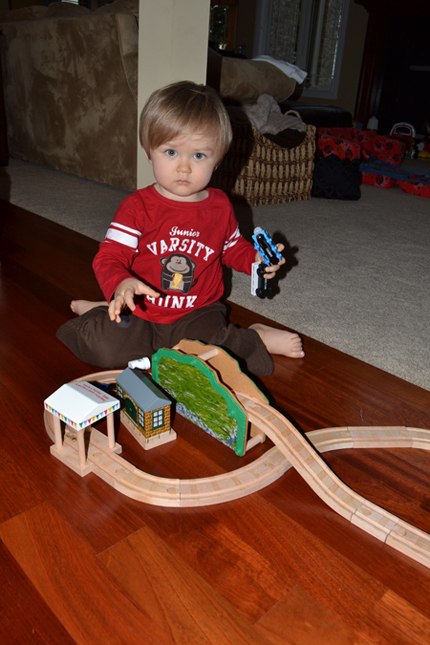 So we played for hours with his new and improved version of a train set. Can you see that face? Thank you Lord - such a Happy Child! Since we had so many photos from the CURE SEARCH WALK 2011 we wanted to share them all with you .... we had such AMAZING People with us that created such love for this WALK, some we didn't even know ... while I kept an eye out hoping for a few close to us that didn't show .... it didn't matter we were grateful for the ones that were there! They were all blessings to us! I was reminded by my Beaumont at Home Nurse of the story of the "STARFISH", I want to remind you that for everyone that donated, walked, virtual walked, reposted, rallied family and friends to donate and even made lemonade stands .... NICKY is your STARFISH ..... GOD BLESS YOU ALL! The surf is up and the tide is going out. If I don't throw them back, they'll die. Son, the man said, don't you realize there are miles and miles of beach and hundreds of starfish? If you can not see the video above please click the blue link below. GRATEFUL .... simply so very grateful for giving us a birthday to celebrate - for keeping Nicky HEALED ..... praying for many, many birthdays and a health boy to read this one day and see the GRACE of Our Lord, Our Healer .... Our Father. Humbled by the people you have embraced around us when we asked ..... Thank you Jesus!